At Comic-Con, they also insisted that the much-awaited tentpole isn't a sequel. 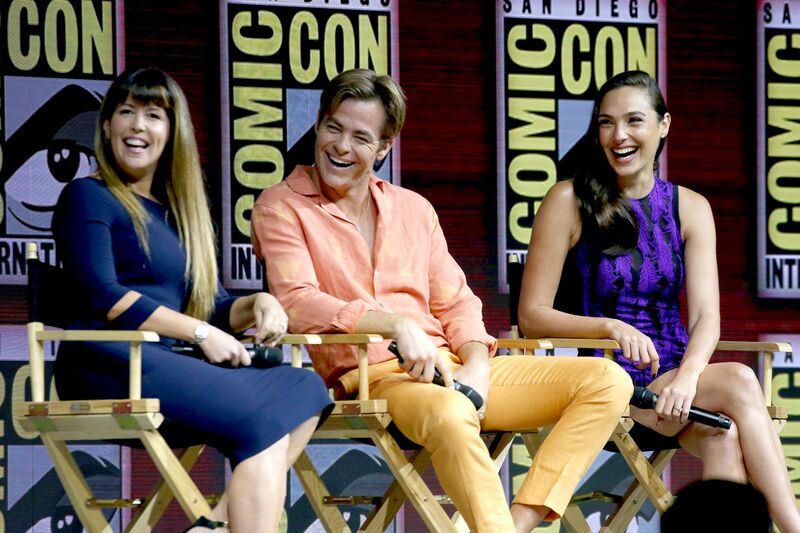 “Wonder Woman 1984” stars Gal Gadot and Chris Pine joined their writer-director Patty Jenkins at San Diego Comic-Con Saturday morning to thank DC fans and preview what’s to come. Although they are only three-and-a-half weeks into production — “We only have 20 more weeks to go!” Gadot gushed — the trio showed a brief rough cut during the Warner Bros. presentation. The clip shows Wonder Woman swooping into frame from a mall escalator and sliding an adorable little girl into a stack of oversized teddy bears so the hero can disarm and lasso two bad guys. A quick shot of Wonder Woman dashing past driving cars then accompanied the title.